The Sound Healing and Therapy Certificate Program is designed to help you obtain the knowledge and skills to work in the field as a Sound Healer, Sound Therapist or Sound Bath performer. You will learn many skills and techniques for working with people with a wide range of physical, mental and emotional issues. It is designed to learn how to help others as an occupation. The Program covers the full range of how sound affects us physically, mentally, emotionally and spiritually. You will learn the detailed science behind sound, and you will learn many esoteric techniques from ancient times that still can’t be explained. With 10 instructors you get a full perspective on the field. You will learn a large amount of information on how the Body, Nature and Universe work from a frequency perspective. You will learn how to express your voice with sound and song, and use it for healing and well being. You will also understand how the full range of sound healing instruments work in sessions including Tuning Forks, Crystal Bowls, Tibetan Bowls, and Drums. You will also come to know how various technologies can be incorporated into sessions. You will also understand how to use color, light, geometry, and intention in a session – It is all Vibration. Take the course with Live Instructors or at your own convenience. The classes work really well online with the live instructors. We tone, chant and do the full range of sound healings on each other. It’s just like you are on a conference call on your computer. You can see our computer screen and sometimes you can see us when we turn on our webcam (If you have any fear of computers let us know and we’ll help you get set up). It’s also nice having students from all over the world taking the classes. CLICK HERE to see what our graduates are saying about the online classes. The online program in sound healing covers the effect of sound on human beings physiologically, psychologically, emotionally and spiritually. The classes are designed to provide students with a broad perspective on this expanding industry, enabling them to focus on their areas of interest. 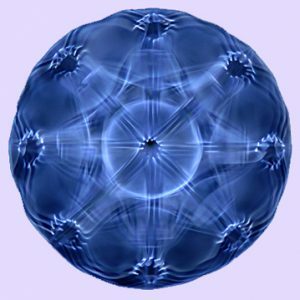 The program gets you to the point where you can utilize a variety of sound healing techniques. The curriculum begins with an examination of the basic structure of sound and harmonics. We then use the harmonic structure of sound as a basis for understanding music theory and how musical intervals relate to and create different states of consciousness. All of this information is used to explore the human voice as a sound healing tool. We examine the physiology of the body, including a thorough examination of the composition of the human being from the physical to the spiritual. We explore the use of sound to bring people into altered states of consciousness and shift individuals into particular brainwave states, such as delta, theta and alpha. Finally, we look at the intersection of music, sound, vibration, consciousness, color, light, math and science. By studying the correspondences between all of these areas we see the interconnectedness of all human beings to each other, to nature and to the universe. The Resonance class is the first class of the semester with David Gibson. It includes information on the physics of sound and ends with the frequency of God or Source (all frequencies in the Universe). Note that this class is a little more technical. Many of the classes are very experiential. Also David is only one of 12 instructors. Each instructor has their own unique style. CLICK HERE to watch online. Class is 1.5 hours. Enjoy. Here is another class on the Sound of Chakras. CLICK HERE to watch online. This class is 2 hours. Enjoy. Classes are Tuesdays and Thursdays 6-8 PM and Saturdays 10 AM – 1 PM. All times are Pacific Time. If you can’t make a class you can watch the video or catch it the next semester. David will be available by email randomly. Often he will get back to you almost immediately. Maximum time would normally only be 24 hours (except on weekends). You will also be able to email other students with questions. – You must have a computer (Mac or PC) with at least Broadband access. – You will also need a headset with built-in microphone to be able to communicate by voice through the computer (a mic built in to a laptop is not good enough quality). USB Headsets start around $30. You don’t need to buy any software. We use a meeting software that only requires you to log on. You will be able to see the instructor’s computer screen (if they are using a computer). – You will receive a 300 page reader and a number of songs to download. CLICK HERE to see the table of contents for the reader. These are videos of the online classes that you can watch at your own convenience. The videos sometimes include webcams of the instructors. You will normally be seeing the computer screen of the instructor (Graphics, videos, white board drawings, word documents). You will still have homework assignments, final paper and final exam. Broadband internet conneciton required. You may watch the classes online or download them for later viewing. You will receive a 300 page reader and a number of songs to download. CLICK HERE to see the table of contents for the reader. DSL or Broadband required (Mac or PC). You may start whenever you like and watch at any pace you prefer. We recommend that you do three classes per week, but you may take a break whenever you like. Check in every other week with David at a set time at your convenience to see how things are going and to review what you’ve learned the previous week. You may send email questions whenever you like. We will try and respond within 24 hours. Join the live online classes whenever you might be available. See the Equipment Requirements in the column to the left. • Work as a Sound Healer, Sound Therapist, Sound Practitioner, Complementary, Alternative and Integrative Health Practitioner, Musician, or Singer in the field. Understand how frequencies, tonalities, music and intention work within the body to create health. Learn how to raise your own consciousness in order to become a better sound healer, by uncovering and transforming hidden beliefs. Understand how sound affects us physically, mentally, emotionally and spiritually, in order to create more effective treatments for yourself and others. Comprehend music theory as a way to understand how the body, nature and the universe works, in order to utilize this knowledge in sound healing treatments. Learn how to devise and conduct a healing session on others, with voice and sound healing instruments. Acquire the ability to use a wide range of techniques including sound, color and geometry to bring someone into a relaxed state of being. Gain a wider understanding of the capabilities of all the Sound Healing instruments. Understand the use of the human voice in various healing practices, including a history of singing and self expression as used in ritual by many spiritual traditions and cultures. Explore a diverse range of frameworks and modalities of consciousness and sound healing. Understand the relationships between all aspects of vibration (including sound, color, light, geometry and the quantum world) — to become more connected to Nature and Source and be able to practice sound healing in alignment with Source. Develop the ability to market your sound healing practice successfully. To get the Certificate at the Institute or Online you must complete 186 Hours. You must also complete each of the 5 courses within the Program with a “C” average. There is a 2 page research paper required and a final exam at the end of the semester. Attendance must be at 90% or better and no outstanding fees. There are no equipment or supplies that must be purchased. Online classes start about every two weeks and take 6 months to complete. You must complete within 9 months. Ongoing Enrollment – The class is ongoing enrollment so classes start about every two weeks. The Certificate Program is the first semester of the Degree Program. CLICK HERE to see the detailed schedule. The full certificate program is $2600. If doing a payment plan for the full program you must pay in full within 5 months ($520 per month). Once a student has enrolled, a student may receive a full refund (minus the registration fee) if the student has not received any of the class materials. The student must cancel in writing (email is acceptable). The refund will be processed and sent out within 45 days of the time of cancellation. Once the student has received the class materials (readers and videos of the classes), there is no refund. If the student has trouble downloading the material we will provide detailed assistance. Depending on the instructor’s assignments students will have homework and assignments to turn in. All students must turn in a Final Research paper for the whole semester. Students must complete a Midterm and Final Exam. The final exam is sent to the students once they have completed all the assignments and attended all of the classes. Students get two weeks to take the final exam and email it back. All materials are returned to the student within ten days. Below are short synopses of each course. Click on “MORE DETAILS” at the end of each course synopsis to get to the detailed descriptions. Not all classes are offered each semester. This Course covers the full perspective of everything going on of the field of Sound Healing and Sound Therapy. It gives you a good overview of the basic structure of sound and how it can be used for meditation, relaxation, learning, productivity, healing and raising consciousness. We also look at the history and ethics of music and sound healing. We begin with the basic concepts of Sound Healing including the Law of Resonance, Entrainment, the Harmonic Structure of Sound, the effect of different Volumes on people, and the powerful effects of Phase Cancellation on us physically, mentally, emotionally and spiritually. Steven Halpern brings his years of experience and information gathering to the class. We also discuss how Voice Analysis systems work and we perform Voice Analyses on each of the students. We look at the importance of tuning systems based on nature. And, we go through all of the archetypal healing frequencies that have been used since the beginning of time — from 1 – 400,000 Hertz. We discuss binaural beats and how they entrain the brain into different brainwave states (gamma, alpha, theta, delta and subdelta), and synchronize the left and right brain. We then look at all of the techniques for releasing stuck emotions with sound. These techniques are extremely important, because many say that 50% of disease is as a result of stuck emotions. We discuss how nature sounds heal and we listen to the secret world that you find when you slow them down electronically. Nature is the most amazing sound healer of all. 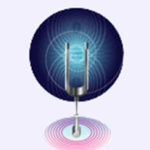 Susanne Runion covers how to market your Sound Healing Practice in the Sound Healing Marketing. Susanne has written the main book in the field on Alternative Therapies Marketing. She shares over 100 detailed practical techniques for attracting and retaining clients with little or no money — and doing it with integrity. The basis of frequency, timbre (tonality or tone) and how they affect a person physically, mentally, emotionally and Spiritually. The different types of crystal bowls, Tibetan bowls, tuning forks and sound healing instruments. Techniques for using each on yourself, in healing sessions, and in sound healing events in front of a group. This course introduces and reinforces the foundational techniques of singing, tone production, musicianship, and interpretation. This class is designed to explore and develop the singing voice through a study of human physiology, the physics of sound, and basics of acoustics and resonance as applied to the student’s own body and voice. The course will cover basic elements of vocal technique, including analysis of individual problems and corrective solutions. Learn about basic, healthy vocal production including an introduction to human physiology, posture, breathing, resonance, articulation, and vowel production. The student will work on specific skills using an array of exercises and then apply these skills to one piece of repertoire that will be practiced each week. The skills covered in this class can be applied to all styles of singing and support vocal longevity, flexibility, and health. In the ancient mystery schools, the study of the harmonics or proportions of Nature, the human body, architecture and music were considered to be a single subject. The intention of this course is to bring awareness of the proportions of spaces and natural forms to those studying the harmonics of sound, so you can see the harmonics you hear, and to explore how the knowledge of the symbolic meaning of geometrical shapes can support the art of healing with sound. • To familiarize those who are studying the harmonics of sound with the parallel subject of the harmonic ratios found in two- and three-dimensional space, via the ancient discipline of symbolic geometry. • To provide a visual and kinesthetic avenue to understand the laws of natural harmony – to see and touch the harmonic ratios that one hears in music, to create a more multi-sensory understanding of harmonics.